” The wise mention four saadhanas by which one attains conviction in one’s identity with Brahman, and without which such conviction will never arise”. The first of these qualifications, called Nitya-anitya-vastu-viveka or simply, Viveka. 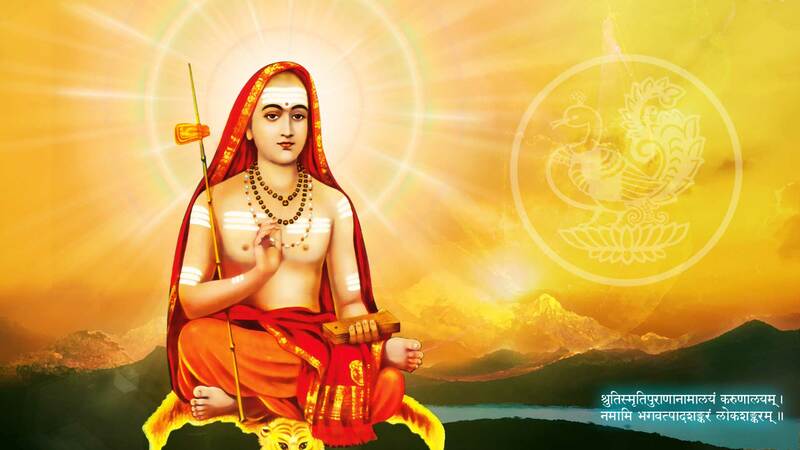 The word “viveka” by itself means “Discrimination”, or the ability to see the difference between two things, is defined in two ways by Shankaracharya in his two important Vedantic works, Vivekachudamani and Tattvabodha. Viveka leads to the second qualification for Moksha, which is Vairaagya, dispassion. Both of these two viewpoints approach nitya-anitya-vastu-viveka from different ways and both of these understandings invoke Vairaagya in their own way. This post attempts to look at both understandings of Viveka and how they lead to Vairaagya. This is based on the Tamil lecture series by Sri Mani Dravid Shaastrigal, a great scholar of Mimamsa and Vedanta. It is made available on Youtube. This particular topic is discussed here – https://www.youtube.com/watch?v=zfTDk0opBrE. In this viewpoint, Viveka is understood as the discrimination between Brahman (Pure Consciousness) and Jagat (world including body-mind) as the Independent Reality and Dependent Reality respectively. To expound on this the Upanishads and the Vedanta granthas employ different examples. One such example is that of the relationship between gold and the various ornaments made out of gold. Whenever we look at any golden ornament, we are essentially looking at gold alone in a particular form. Gold in particular forms is also given names, a necklace, an earring and so on. However the form of the ornament in itself does not have any existence independent of the gold using which it is made. The ornaments are said to exist only in appearance, it is only gold which exists really speaking – before the shape is given to the ornament, during the ornament’s existence, and also after the ornament-form is gone. Thus the Upanishad says – vaachaarambhanam vikaaro naamadheyam satyam mrittika eva- the changing things exist only in name and form, they have no independent existence. That which is unchanging, which sustains the changing things, is alone independently existing. Vedanta similarly reveals that the world, Jagat, which includes all the known and knowable objects including the body-mind, has no independent existence but only an existence dependent on Brahman, which is the independent existence just like gold in the case of gold-ornaments. Jagat is only of the nature of name and form, existing only in appearance. Brahman alone is the independent permanent existence appearing as the world. Understanding the distinction and achieving conviction in this distinction is called Nitya anitya vastu viveka. How does this lead to Vairaagya or dispassion for the world? A person who understands that the forms of ornaments are immaterial if the gold is removed from them naturally focusses only on the gold alone in evaluating the ornament. Similarly, once the sadhaka understands that Brahman alone is the absolute reality while the world is merely appearance, he loses interest in the appearing world and learns to focus on the satya vastu which is Brahman. All this being the case, there may be a question. There are things in this world, which one may know to be only an appearance but still one desires for it. For example, between gold lumps and gold ornaments of different kinds, one may still desire only for a ornament of a particular form. Similarly, even though one knows that dreams are merely appearances, one can still desire to experience particular kinds of dreams. Similarly, though we know the world to be an appearance, we can still desire for the world and not bother about Brahman. That being the case, how does Vairaagya follow? To answer this query, we must turn to the other understanding. The Tattvabodha gives us the straightforward viewpoint which we get from the word – “Nitya-anitya-vastu-viveka” itself. Brahman is revealed by Vedanta as the permanent entity, while the world (Jagat) which is every perceivable object including the body-mind is clearly seen and understood as temporal entities. Moreover, this permanent entity Brahman is also revealed by Vedanta to be the cause for Ananda, or permanent security-peace-and-happiness. However the world is well known to all as being utterly incapable of producing long-lasting happiness or a feeling of security for anyone. Thus, for a person having Shraddha in the Shaastra and in the Guru (this shraddha being one of the four-fold qualifications), Vairaagya naturally must stem from this understanding and he is expected to shift his focus from the temporal, ananda-incapable world to the permanent, Ananda-swarupa Brahman. This is irrespective of whether the world is an appearance or not, for every individual ultimately desires only happiness, peace and security, and will work to achieve whatever he understands as to be generating them. Here the seeker becomes convinced that it is only by knowing Brahman that he will get what he seeks. Thus, the mind is naturally turned towards Brahma-vichaara and away from the worldly affairs. In this manner, Vairaagya arises from a deep understanding of Viveka and exercising it at all moments of one’s life.